Your Money, Your Future, Your Credit Union! Your Money, Your Future, Your Credit Union...in your pocket! 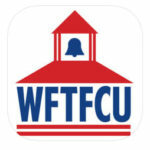 Download our mobile app and enjoy checking your balance, transferring funds, and depositing checks all on your phone! Flatten folded or crumpled checks before taking your photos. Know the limits- there is a $3,000 maximum deposit for a single check and $5,000 maximum aggregate deposit per day. When prompted for the amount, carefully enter the check amount to ensure it matches the amount written on your check. Items received 9:00 a.m.-2:00 p.m. M-F on business days will be processed the same day. Place the check on a solid dark background before taking the photo. Take the photo of your check in a well-lit area. Keep your phone flat and steady above the check when taking your photo. Keep the check within the view finder on the camera screen when capturing your photo. Make sure the MICR line (numbers on the bottom of your check) is readable and that all four corners are visible. Make sure that the entire check image is visible and in focus before submitting your deposit and that there are no shadows across the check. Call these numbers to report lost or stolen credit or debit cards. Your savings are federally insured to at least $250,000 and backed by the full faith and credit of the United States Government, National Credit Union Administration, a U.S. Government Agency. Copyright © 2019 Wichita Falls Teachers FCU. Powered by WordPress. Theme: Spacious by ThemeGrill.